Reaxys is designed to be part of a larger research system. It offers multiple options for integration with other chemistry search and analytics tools, even with customer supply management (CSM) systems. 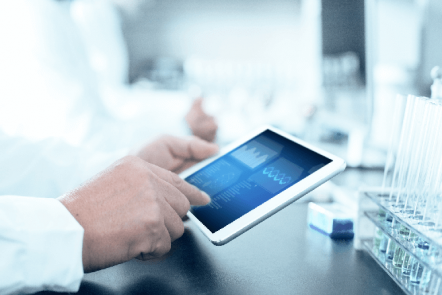 It also connects with other R&D Solutions from Elsevier, like PharmaPendium, Scopus and ScienceDirect. Want advice on seamlessly integrated cheminformatics workflows? Our Life Sciences Professional Services team will be happy to assist you. Well-informed decisions take all relevant information into account. When that information is separated in multiple silos, this slows down the generation of insights and creates the risk of important facts being missed. Reaxys offers the possibility to fully integrate our data in your system in a variety of ways. Want to access our databases through your own direct interface? Reaxys supports the retrieval of citations and chemical reaction and substance data, including bioactivities, through an API that can for HTML web browsers on several platforms. This makes it possible to query high-quality, peer-reviewed data from Reaxys and your own research results simultaneously. It also facilitates the comparison, analysis and interpretation of all data together. How it works: The Reaxys Application Programming Interface (API) allows programmers to create their own direct interface to the native Reaxys data. It retrieves the data in XML format. KNIME nodes and Pipeline Pilot components are available to fully support work with those systems. This functionality is available from the Reaxys API and Reaxys Medicinal Chemistry API. Contact us to set up a meeting to discuss putting the API to work for you. How it works: Custom catalogs are securely integrated into the Reaxys environment in a manner compliant with your security requirements. 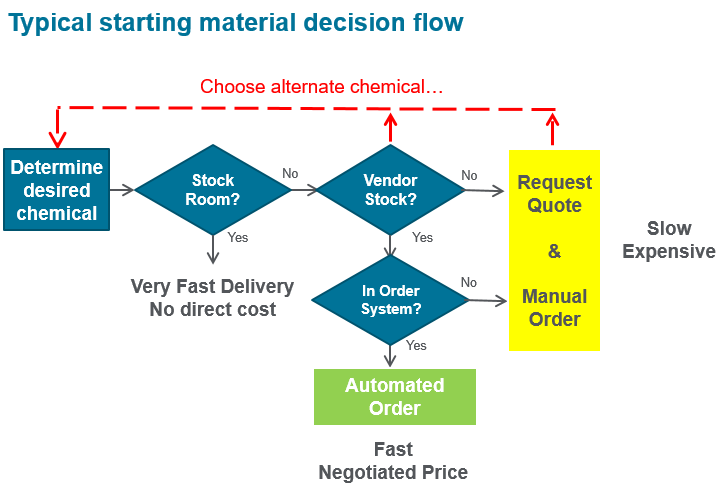 This integration is shown to save chemists 30 minutes per order and save purchasing departments 15 minutes per order. Learn more in our new white paper on improved synthetic planning. Contact us to integrate your CSM system with Reaxys. 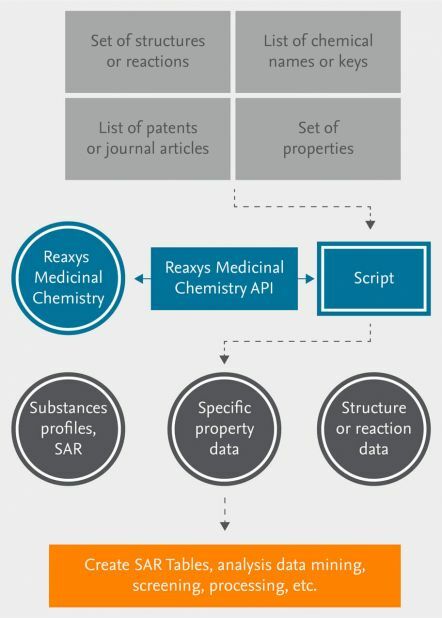 The Reaxys Structure Flat File delivers structures property and reaction data and patent information for in-house use, e.g., structural analog searching and assessments of the uniqueness of a compound. Reaxys Export is a simple way to export and share search results. Clicking on Export in any result gives numerous format options suitable for any post-processing workflows. See how our customer achieved improved efficiency with ELN content integration. When you need to incorporate Reaxys database and tools into your cheminformatics environment for robust and complete chemistry research workflows, we’re ready to help with a range of straightforward methods.